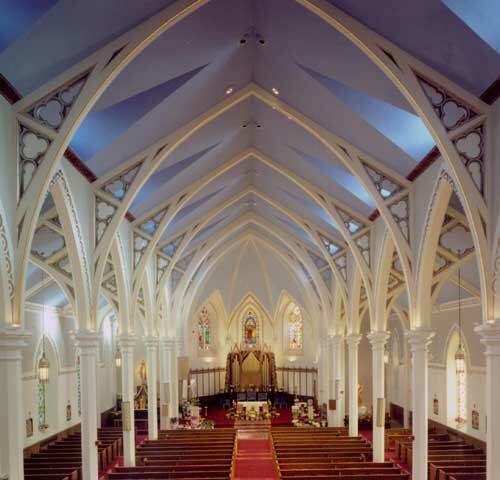 At St. Peter Church in Rutland, a large neo Gothic structure circa 1870, a coordinated effort over a period of several years transformed the Church's interior. 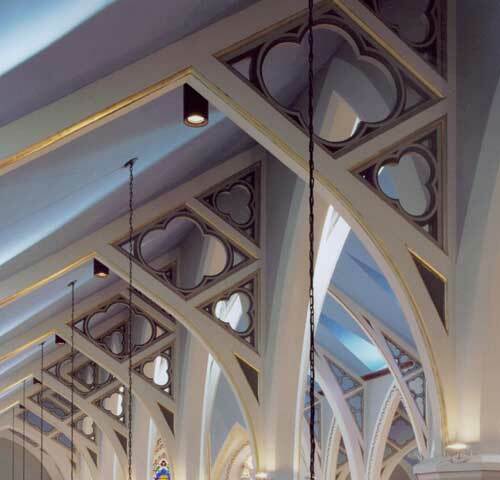 All existing stained glass was restored, new programmable interior lighting was installed, and the interior was completely repainted, allowing reintroduction of some of the original decorative wall stenciling (in a simplified contemporary fashion). 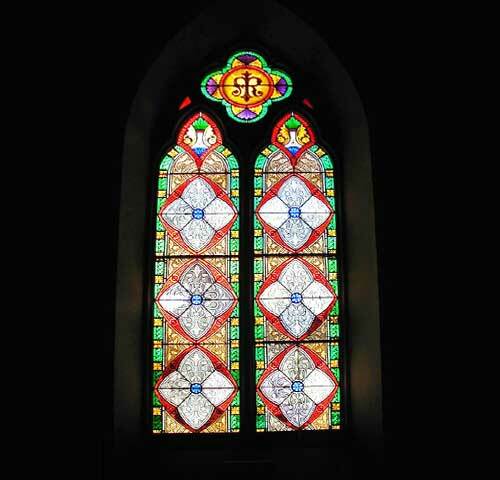 Existing stained glass windows dating from the 1870's were removed, disassembled, cleaned, repaired, re-leaded and reinstalled. 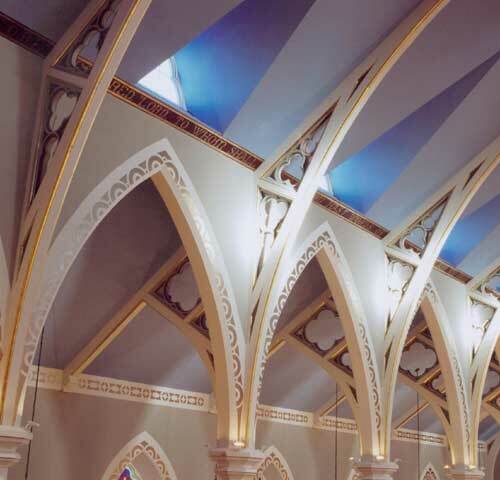 The carved wooden braces in the nave and side aisles were repainted to enhance their visibility. Wall stenciling framed the side aisle windows and defined the wall/ceiling intersection. All images on this site are the property of NBF Architects P.C., any duplication, reproduction, or use without the express written consent of NBF Architects P.C.is prohibited. Any unauthorized use of any images on this site is in direct violation of copyright laws and will be prosecuted. This site is Copyright © 2004 NBF Architects P.C. All Rights Reserved.